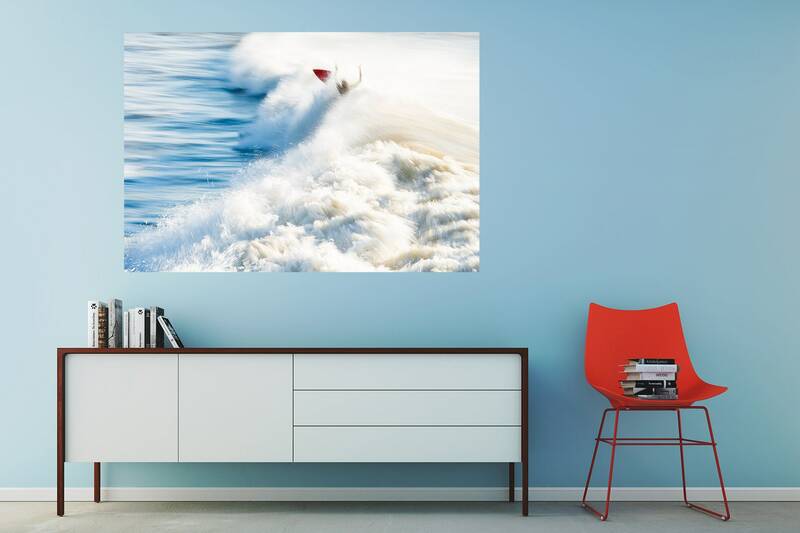 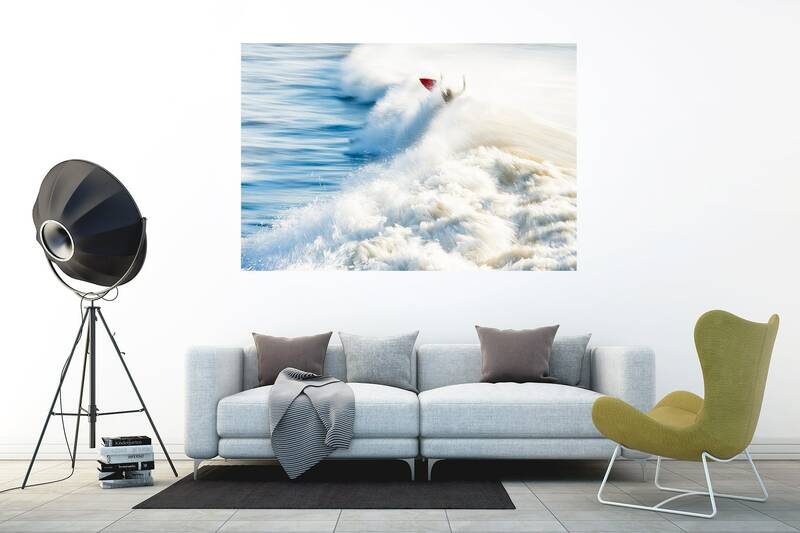 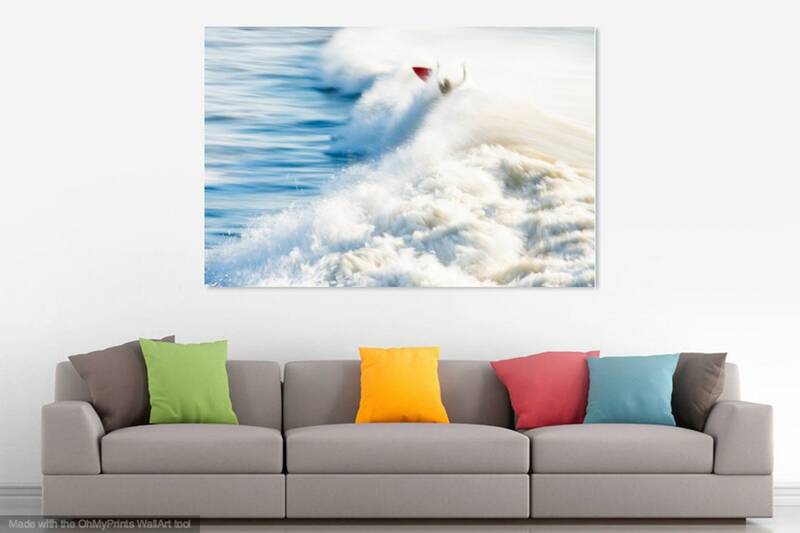 A spectacular colour print of a surfer riding a wave with skill on a red surfboard. 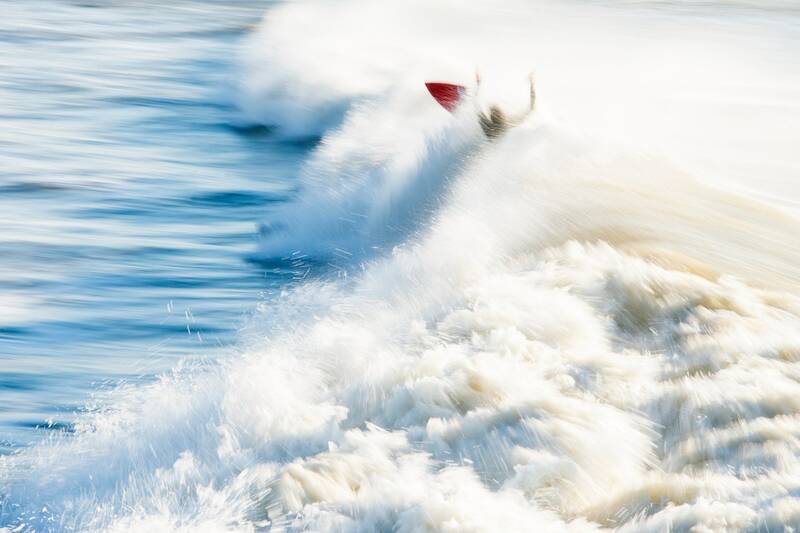 A slow shutter speed was used to create a feeling of movement which has also created an abstract image. 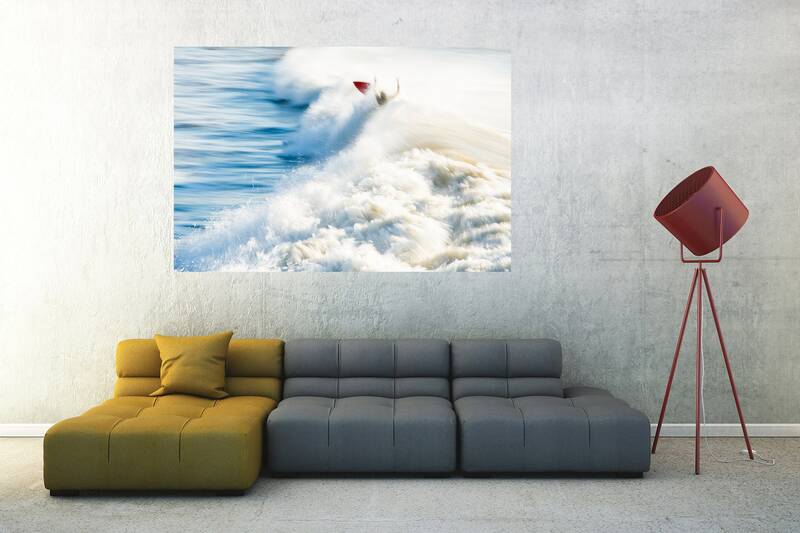 Note - Crop on original will vary just slightly with these sizes ( 16 x 20 inch / 30 x 40 inch / 33.1 x 46.8 ).